When we plant a garden, we are careful to include all the ingredients it needs in order to thrive: good soil, fertilizer, water, sunlight, and more. For the best results, we tend it regularly, remove weeds and guard against pests. If we choose, instead, to starve our garden of water, light, or any of the other components for growth, we shouldn’t be surprised when the results are less than optimal. Children are not plants in gardens, of course, but like plants they need certain ingredients in order to grow and reach their unique potential. Parents provide the most important of these ingredients – love, nurturing, and meeting basic needs like food and shelter – within the micro-garden that is the family. But families need tending too. Families, and the communities in which they live, need access to opportunities that come by way of the public support systems we all depend upon – our education and health care systems, infrastructure, and public safety services, to name just a few. But for the past ten years, New Mexico’s public systems have been starved of the funds necessary for them to function effectively and equitably. The culmination of this decade of austerity policy was bad news for New Mexico’s children. 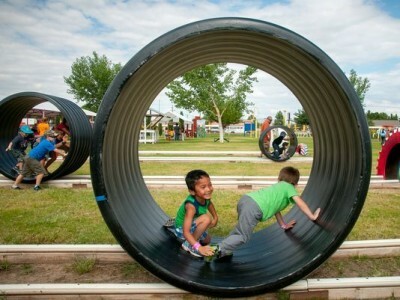 For the second time in the past five years, New Mexico fell to dead last in the nation for child well-being, as ranked by the Annie E. Casey Foundation’s KIDS COUNT program. For the third year in a row, we ranked last in educational outcomes and we lost all of the gains we had made in health during the previous years. We continue to have one of the highest rates of child poverty in the nation. KIDS COUNT is a nationwide effort to track the status and well-being of children in each state and across the nation in four areas – economic well-being, education, health, and family and community – measuring four indicators in each of these domains, for a total of 16 tracked indicators. KIDS COUNT is driven by research showing that the consequences of what kids experience in childhood are carried with them for the rest of their lives. Children’s chances of being healthy, doing well in school, and growing up to be productive and contributing members of society are tied most profoundly to their experiences in the early years. 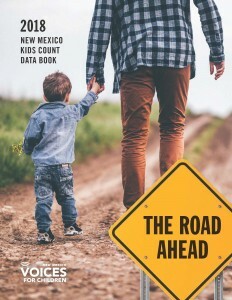 Statistics reported in the New Mexico KIDS COUNT Data Book show us where we stand, where we’re doing better, and where and how we need to improve. At its heart though, KIDS COUNT tells a story. It tells a story of child well-being and a story of the opportunities that are available to our kids. Unfortunately, in New Mexico, that story isn’t as positive as it should be. In our state, the data show that we’re not doing a very good job of ensuring adequate and equitable opportunities for all of our kids to thrive and succeed, and as a result, too many of our kids are struggling. Just as alarming as the fact that we rank 50th in overall child well-being is the fact that we rank poorly in each of the four KIDS COUNT domain areas: we’re 49th in economic well-being; 50th in education; 48th in health; and, for the second year, we’re 49th in the family and community domain. What these data fail to tell us is why things are the way they are – how we got here and which direction will lead us out. As Americans, we believe that hard work will pull us out of poverty. But if that’s the case, why does New Mexico have some of the highest rates of poverty among people who work full time and year round? If education is the answer, why do we have a high rate of people living in poverty despite having bachelor’s degrees? This tells us that there are systemic components to poverty – barriers beyond hard work and even education that keep people from getting ahead. One of New Mexico’s main barriers to family economic security is the lack of jobs that pay a family-sustaining wage. Low-wage jobs are less likely to include benefits such as paid sick or family leave and health insurance, both of which vastly improve a family’s economic well-being. Without higher-paying jobs, parents struggle to afford everything from child care to putting enough food on the table. Children growing up in families with fewer economic means are more likely to be homeless, to be food insecure, and to live in neighborhoods where they witness violence, and they have less access to enriching educational resources outside of the classroom. When children start school already behind peers whose families have more resources, they tend to stay behind. Other challenges include policies and practices that have prevented people of color from building wealth and have resulted in generational poverty. One policy, for example, was the practice of red-lining, which effectively kept families of color from receiving low-interest FHA mortgages during the mid-20th century when the nation’s middle class blossomed. The War on Drugs has had a highly disproportionate impact on communities of color despite the fact that whites use illicit drugs at the same rates as do people of color. Children of color are also more likely than their white, non-Hispanic peers to be suspended or expelled from school for the same offenses. Race-based disparities are of particular concern in a state where 60 percent of the population and 75 percent of children are people of color. But disparities along racial lines don’t just happen. They are a product of systems and structures that benefit some groups while putting other groups at a disadvantage. Equity is also intentional and only comes about when all people have the same opportunity to participate in society. Equity and child well-being are not things that should concern just our parents and the families that experience hurdles to success, they should concern us all. When our children fail to thrive, it is a sign of a deeper problem. It means our families, our communities, and our economy aren’t thriving either. New Mexico is not dead last in so many indicators by any fluke or mischance. We’re here because of poor policy choices we have made. The state has been on a road to austerity for the past decade. It started with the Great Recession, and the decision on the part of most policymakers to cut spending on the systems that support our communities, families, and children – like education, health care, and public safety – rather than raise new revenue so we could keep these systems whole and ensure opportunity for all New Mexicans. If we had made these investments, New Mexico could have recovered from the recession much sooner than it did. But even after the first few painful years of the recession were behind us, we continued on the same path. In 2008, New Mexico spent $6.1 billion annually on education, health care, public safety, and more. If we had kept to those 2008 spending levels and grown our budget just enough to keep up with inflation, our budget today would be $7.1 billion. But it is not. The current budget is just $6.3 billion – which is actually worth $800 million less than it was worth in 2008. And that is not even accounting for our population growth since 2008. What could we do with that $800 million? We could finally expand our early childhood care and learning system to reach all children who need it, and we could cover another 48,000 people with health insurance, and double the Working Families Tax Credit for families who work hard but are paid low wages, and give $2,000 college scholarships to every high school student in the 2019 graduating class, and have money left over. What did we do with all that money instead? We gave it away to the well-connected in tax cuts that we were told would bring jobs. But the jobs never materialized. Instead, we have a state government working on such a skeletal crew that it can’t provide basic services. Our tax department doesn’t have enough staff to process tax returns, our child protective division is overloaded, and we are facing a significant teacher shortage, among other problems. These tax-cuts-for-no-jobs forced us to make spending cuts – and education was one of the worst hit areas. New Mexico has cut funding to our colleges and universities by 35 percent on a per-student, inflation-adjusted basis since the recession, and we drained the money in the College Affordability Fund – which is supposed to go to students in need of financial aid – to pay for unrelated programs and services. This decade worth of cuts has driven steep tuition increases. Also over the last ten years, New Mexico has cut K-12 education by 14 percent on a per-student, inflation-adjusted basis. The cuts to education were so bad that a lawsuit was mounted against the state for failing to provide a sufficient education, as required by the state constitution. Shortly after the state lost that lawsuit, it was hit with more lawsuits. These suits claim that the Children, Youth and Families Department has failed to protect children who were in its custody for their own safety from further harm. Simply put, we’ve been trying to run our state on the cheap. And no one has suffered for it more than our children. Despite the dreary statistics, we are optimistic about the future because we believe in the strength and resiliency of New Mexico’s families. We know we can build stronger communities and support more resilient families and children so that they can thrive. What’s more, we know how to create those opportunities. But we can only build a stronger New Mexico if we are willing to make the investments. At the governmental level, this means finding ways to raise new revenue – ways that do not hurt the very families who most need help. It means making our state tax system fairer by ensuring that everyone shares in responsibility for creating opportunity. It means raising teacher pay, calling for a higher minimum wage, fighting right-to-work laws that weaken unions, requiring meaningful protection from predatory lenders, and more. And we know that the more we invest in high-quality programs and services that reach children in their most formative years – from prenatally to age five – the more money we save in the future. You will find more specifics on these and other policy recommendations in the first section of this data book, along with trends and county-level data. With a brand-new governor, this is the perfect time to change our course – to turn from austerity onto a road to opportunity. The first legislative session of a new governor’s term is always a long session – meaning it lasts for 60 days and lawmakers can address whatever policy issues they desire. This is the time to go bold or go home. We must strike out on a new road in a decidedly different direction in 2019. New Mexico’s unique cultural diversity, great natural beauty, and enduring sense of community make it a resilient state. Our families, communities, and state are strongest when everyone has opportunities to thrive. But too many of our children and their families are being denied access to the opportunities we all need in order to thrive. We’re all in this together and it’s time to take better care of the garden that is our beautiful state.